A married father of two who killed his teenage lover has been jailed for life with a judge ordering him to serve a minimum of 18 years in prison. 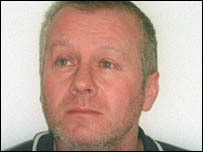 Unemployed David Hodgson, 48, of Olav Road in Richmond, North Yorkshire, murdered Jenny Nicholl in June 2005, Teesside Crown Court heard. Hodgson became jealous when she started seeing his older brother. The 19-year-old shop worker has not been seen alive since nor has her body been found despite extensive searches. 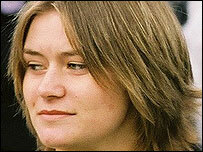 Hodgson claimed Miss Nicholl had moved away and had contacted him since her disappearance. A jury took 10 hours to find the former fence-builder guilty on Tuesday. Hodgson, dressed in black, showed no emotion as his sentence was read out. The judge, Mr Justice Openshaw told the court it was "obvious" Hodgson and Miss Nicholl had met up by prior arrangement on the date she disappeared, and the evidence that Hodgson killed her that night was "entirely overwhelming". He said: "The defendant's concealment of her body has prolonged the anguish of her family and friends as they waited for news of her fate. "Even now, they have been denied such solace as can be found from a funeral and from providing for her a decent, dignified and reverent disposal of her remains as they wish. "I don't doubt that the thought that she is lying somewhere up on the moors will continue to inflict further pain on her long-suffering family. "The defendant has shown not the slightest regret or remorse." The judge said he had "no doubt" that Hodgson had buried Miss Nicholl in the woods or thrown her body down one of the many potholes or mine shafts in Swaledale. The judge said that by sending the messages from Miss Nicholl's phone, Hodgson had been "cruelly pretending that she was still alive and that she had just run away". After yesterday's verdict, North Yorkshire Police and Miss Nicholl's parents said they hoped Hodgson would now tell them what he had done with the teenager's body. "It remains our deepest wish that, as parents, we be afforded our basic human right to bury Jenny with the dignity and respect she so rightly deserves," Mr Nicholl said.